The first time I auditioned for École nationale de cirque, I had only hung from stall bars a mere handful of times. I didn’t even know that you were supposed to do leg-lifts on them. Looking back, I wish that I had asked friends who had already auditioned what to expect during the audition process. Before I embark on an overview of all the questions I get asked as the audition dates for L’École de cirque de Québec (ECQ) and École nationale de cirque (ENC) approach, let me give you a brief background of my schooling. 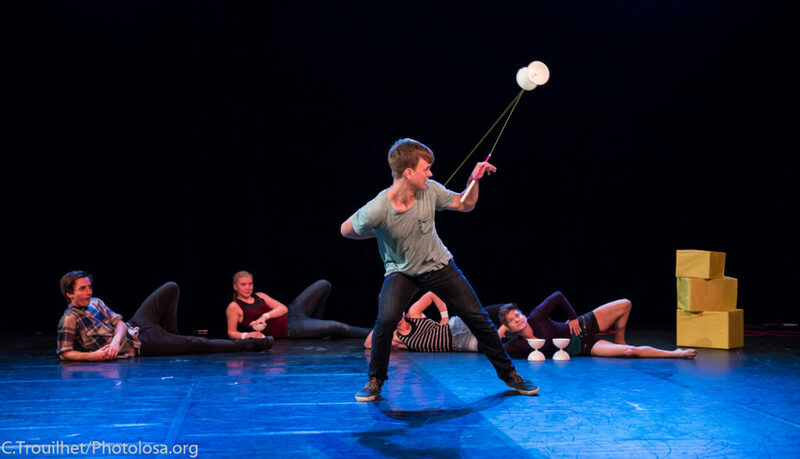 I attended the New England Center for Circus Arts (NECCA) for their Intensive year in 2013-2014. I auditioned for ECQ and ENC in both 2013 and 2014; in 2014 I was accepted to ECQ for their three-year DEE Program. Since graduating, I have traveled to Stockholm, France, and Copenhagen, training at (but not attending) various schools in those cities. Hence, my responses will be focused around the Québécoise schools. All circus school auditions function in the same way to test the base of skills of prospective students. The format varies for different schools, but the same tests I mention here can be expected at most any school. ECQ does a rotating-block style, day-long audition. The auditionees are split into groups and rotate through the sections. All auditionees are tested in basic floor tumbling, strength, flexibility, the beep test (tip: work on your cardio endurance and practice the beep test), coordination, dance, theater (‘jeu’ in French), and the presentation of their acts. You can also be tested in up to three disciplines of your choice. At ENC, the auditionees are split into groups, but every group must finish the same section before everyone can move on to the next section. Acts are not presented until the final day. Some schools do cuts. For example, NECCA has a cut during lunchtime while ENC has them at the end of the first and second day. Some schools request an application before the live auditions so they can choose who they want to see. I recommend bringing snacks, layers of warm clothes so you don’t get too cold, and a good attitude. The auditions are exhausting, but I encourage you to enjoy the experience. Auditions are a wonderful place to meet people! What is DEE and DEC? If you audition in Quebec, you will probably hear the terms ‘DEE’ and ‘DEC’ thrown around. But what does this mean? Both ECQ and ENC offer DEE and DEC programs. Both schools offer CEGEP—a program that is like senior year of high school and freshman year of college, combined. When a student graduates from CEGEP, they have an Associate’s Degree and can go on to University to get a bachelors and masters. 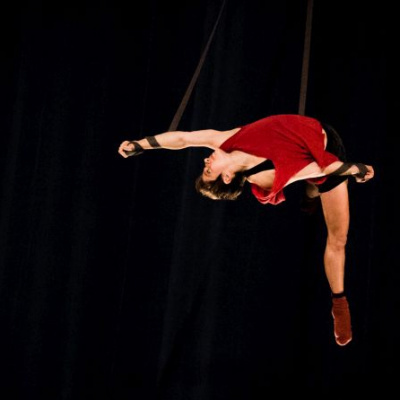 DEC students are circus students who are also Québécoise or French/Swiss, who are doing CEGEP while doing circus school. DEE are students, usually foreigners or non-French speakers, who don’t do CEGEP. This means they often have more time to train, but pay more money and don’t get an official degree at the end of the program. At ECQ, non-francophones cannot opt to do DEC because of the language barrier since they’d fail all of the classes if they don’t speak French to a high level, and failing CEGEP means getting kicked out of circus school. DEE and DEC acceptance rates are regulated by the government. The schools must have 50-70% DEC students to receive government funding; the other 30-50% can be DEE students. The ratios vary from year to year, based on the total ratio of DEE/DEC students already in the school. This can make the selection process difficult for schools, and they can’t always take every student that they want to because of the government requirements. Even if you don’t get chosen, it does not mean that you are not a good circus artist or that you don’t deserve to get in. What is a day like at school? At ECQ we have three technique disciplines. The first and second are essentially your major and minor. The third technique is usually a group discipline, (acrosport, for example) or a basic discipline (floor tumbling, hand balancing, active flexibility, etc.). You have an hour-and-a-half five days a week to practice your first discipline, and an hour three days a week of second and third. Every year has one or two theory classes (nutrition and anatomy, psychology, biomechanics, rigging). Conditioning and flexibility happen twice a week for an hour; three dance classes a week (ballet and contemporary, with some workshops of different styles interspersed); and jeu happens once a week for two hours. At ENC, the schedule changes a bit from year to year but for example you may get ten hours of your major a week, three hours of flexibility, two hours of conditioning, two hours of jeu, three hours of dance and two hours of group creation. At ENC, the theory classes happen at night; with DEE students getting 6 hours a week, while DEC students get 12. The European schools differ in what they offer. The National Centre for Circus Arts(NCCA) in London (formally known as Circus Space) and l’École Nationale des Arts du Cirque de Rosny-sous-Bois (ENACR) in Paris follow a similar structure as at ECQ. CircoMedia, in Bristol, gives far more attention to theater classes and creation—there they create and present a new act once a week. DOCH, in Stockholm, is unique in it’s structure: auditions are held once every two years, so each second year has the entire school to itself to train and create; they also have several weeks each year devoted to intense workshops (usually in dance, but that changes year to year). I often get this question, as subjective as it is. While I understand the desire to go to the best school possible, the fact of the matter is, everyone wants to go to certain schools, and not everyone can get in to them. Most freshman class sizes are 20-25 students and generally hundreds of circus artists audition for those spots each year. Apply and audition for as many schools as possible. No matter what school you are accepted to, no matter where you go, it can be a good school for you if you make it so. By that I mean, do the work. Getting into one school or another isn’t going to make you better simply because you set foot in the building. Schools are not somehow imbued with magic that will automatically make you good. If you do the work every single day, apply yourself to the best of your abilities, and be open to constantly learning and, in the process, making mistakes, you will get better. The best advice I ever got from a coach was to “keep my head down and do the work.” Don’t watch others and compare your progress to theirs. Everyone’s body and background is different. Keep the focus on your own goals and what you need to do to get there, and progress will happen. That being said, which school is best for you also depends on what your specialty is and what the school’s specialties are. Do some research—who graduated recently? What disciplines, and what level, did they leave with? What was their technique level, and also what was their artistic creativity like? Perhaps you want a school that invests more time into artistic development. Who are the coaches at the schools, and what are their backgrounds? The FEDEC website has links to every European circus school; and school websites often have ‘Alumni’ pages with links to the artist websites. Most artists will have demo reels or even full act footage on their website (if not, put the artist’s name into YouTube). This is a good way to see who graduated and what their artistic and technical levels are. What are some audition tips? These may be obvious, but here are a few things to keep in mind while auditioning. I was told by my first aerial coach to dress as though you were already in the school and have been asked to represent that school. Don’t dress over-the-top but don’t be grungy. Be neat and clean, wear clothes that give you enough support where you need it and make sure they don’t hide your lines (no sweatpants that bunch up at the knee or are too baggy, etc.) Be polite. Engage with those around you—sitting in a corner with your iPad and headphones whenever waiting doesn’t help anyone get to know you. Have your music on several devices. Bring a theraband. Most schools will provide basic rigging and, if needed, general apparatus, but if you do bring your own apparatus– bring extra carabineers and swivels, especially when auditioning in Europe. It can be helpful to audition with someone—if you know someone you feel far less out of place. Remember that no matter what happens, the outcome of the audition says nothing about your value as a person. Brush up on your generalized skills before the audition—floor acro, dance; and even taking an improv dance class can be helpful since sometimes the auditions will have an improvised movement sections. Do your conditioning and your flexibility. Don’t skip on the cardio. Even in the throes of preparation, make sure you are having fun, and take rest days! My first year of school, I subluxed my shoulder and couldn’t train straps or handstands for a month. My coach told me, “You have 24 hours of self-pity. Eat ice cream, a pizza, cry if you need to, I don’t care, but after 24 hours, no self-pity. Make a plan. What can you train? What can you learn? Maybe it’s not as physical, but you can listen to music, watch videos for inspiration, whatever. But after those first 24 hours, you make goals and you keep going.” If you don’t get in, I give you 24 hours. And then, make a plan. Maybe you move to Montreal, London, or New York to train at the various studios in town. Maybe you sign up for a gym membership and work on your handstands and active flex for two hours every day, or maybe you sign up for dance classes. Your training and your growth as a circus artist does not stop just because you don’t get accepted. You can still grow and develop as an artist, and even be advanced enough to start looking for jobs without school. How you look at rejection is your choice, but any setback can be a path for growth. If you do get into a school, remember that the school itself doesn’t make you; you make you. Seize opportunities that arise, and try as many things as possible. Looking back, I wish I had capitalized more on the safe, open environment of school to try a wider variety of disciplines. This is a wonderful opportunity to explore, to create, and to discover yourself as a circus artist! 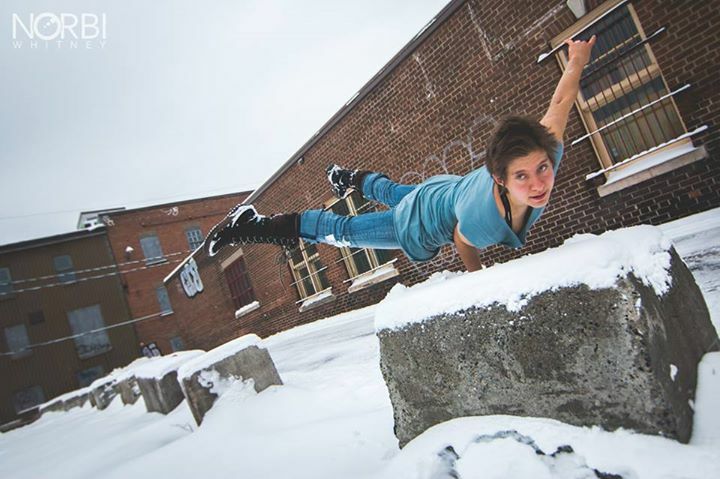 Performer, Writer USA/CANADA Born in Portland, Oregon, Zoe Zou Stasko graduated from L'École de cirque de Québec in 2017. She majored in aerial straps and minored in handbalancing. When not training, she can be found reading science fiction, singing to herself, or writing blog posts for her blog Cirquespiration, found at zoezoustasko.com.